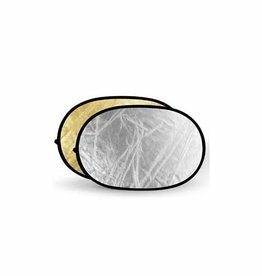 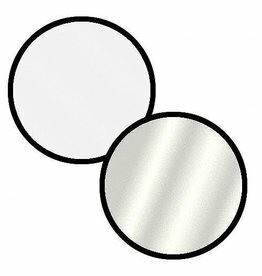 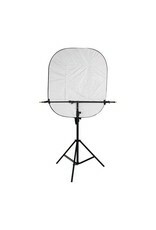 A Superior Reflector Mounting that is the Illuminator Arm Extreme from Westcott. 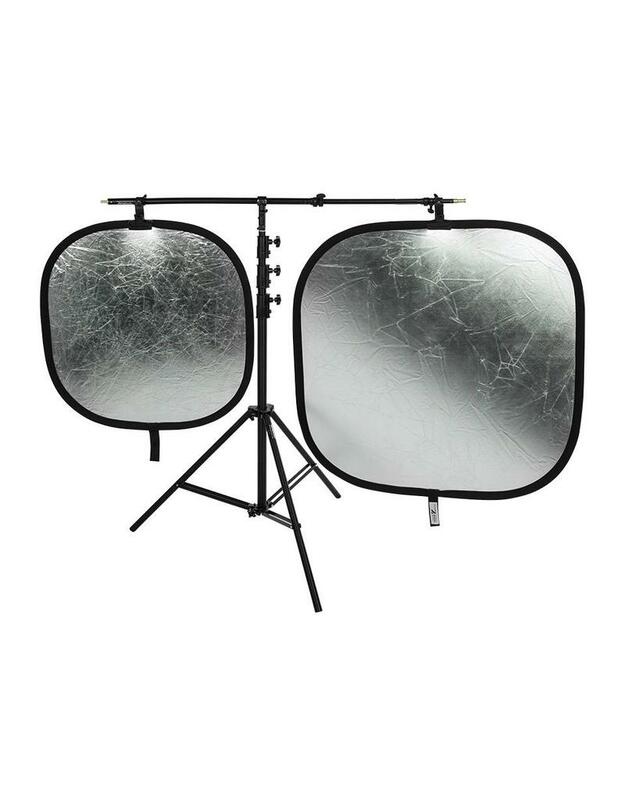 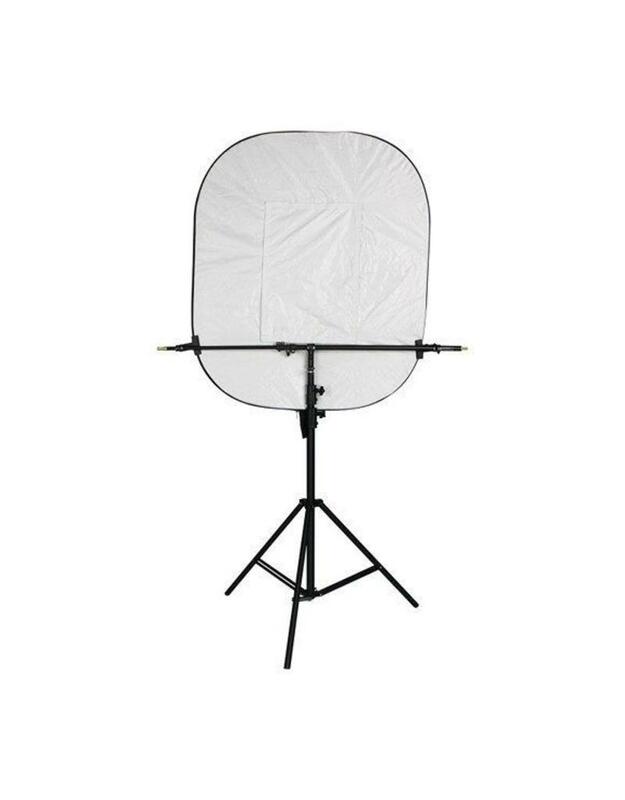 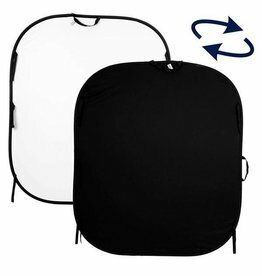 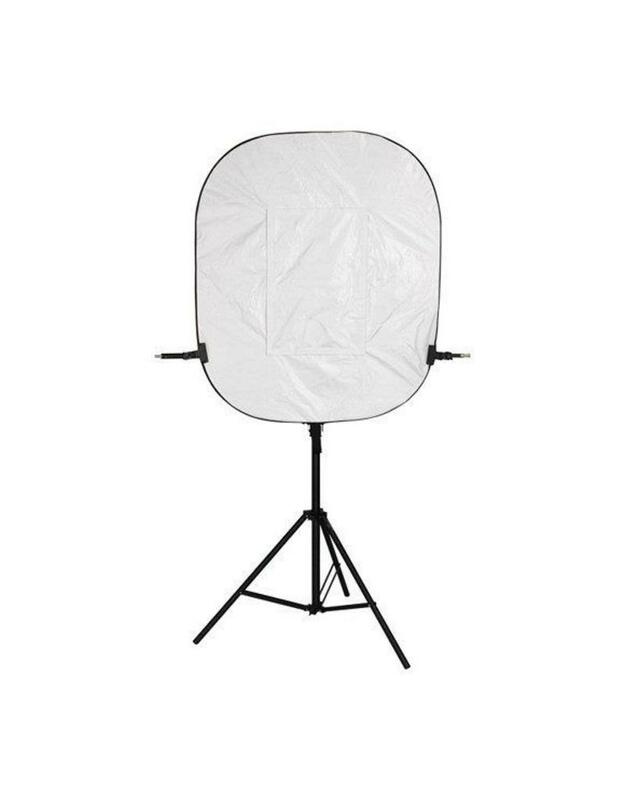 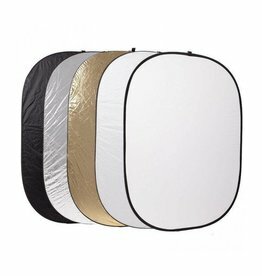 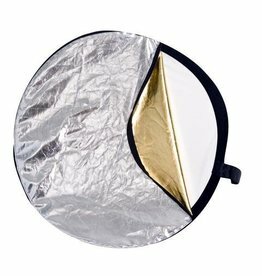 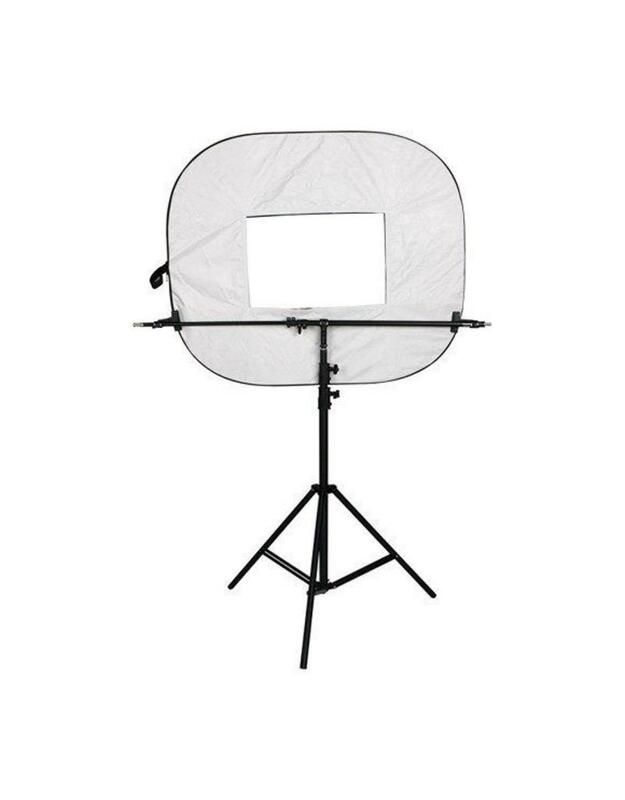 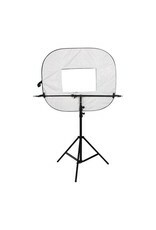 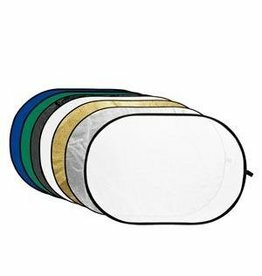 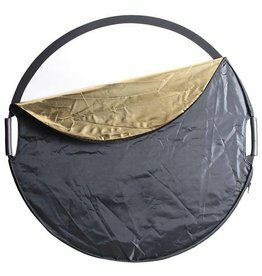 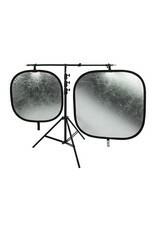 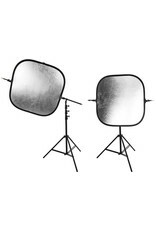 The Illuminator Arm Extreme securely and precisely mounts any reflector or collapsible backdrop up to 72-inches. 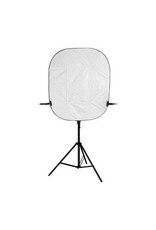 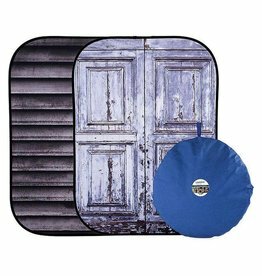 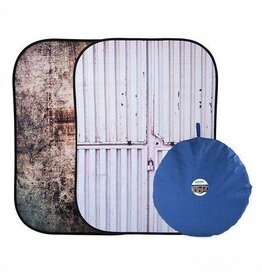 This is a must-have tool for professional photographers. 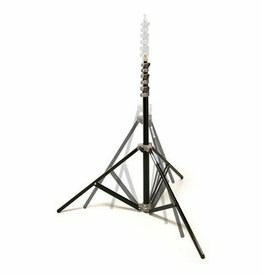 With a coated heavy-duty aluminum construction, telescoping arms, and a built-in tilter mount, this arm is designed to withstand years of use in the studio and on location. The Illuminator Arm Extreme is equipped with two adjustable clamp mounts. 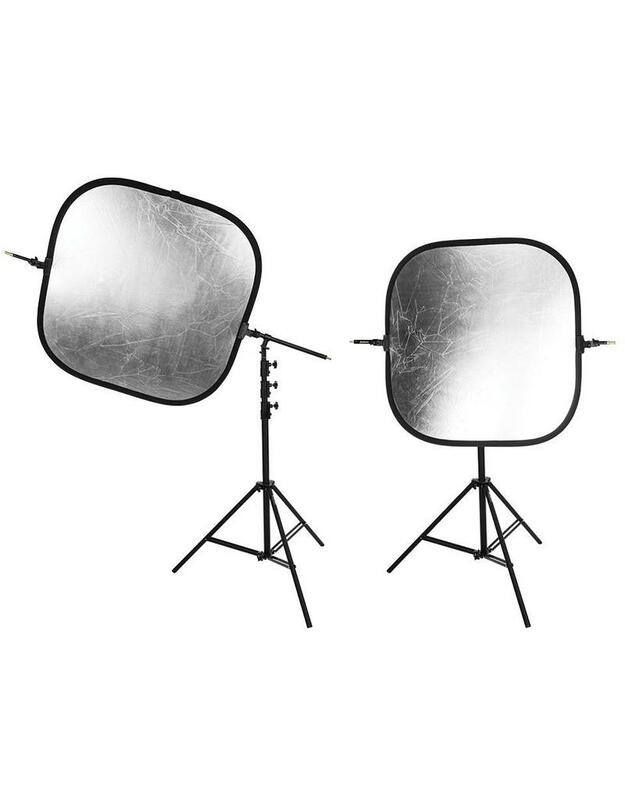 These clamps feature rubber padding that is designed to quickly grip your reflector and keep it precisely in place throughout long shoots. 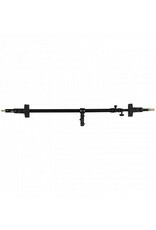 - Features two telescopic sections; the arm collapses down to only 34"